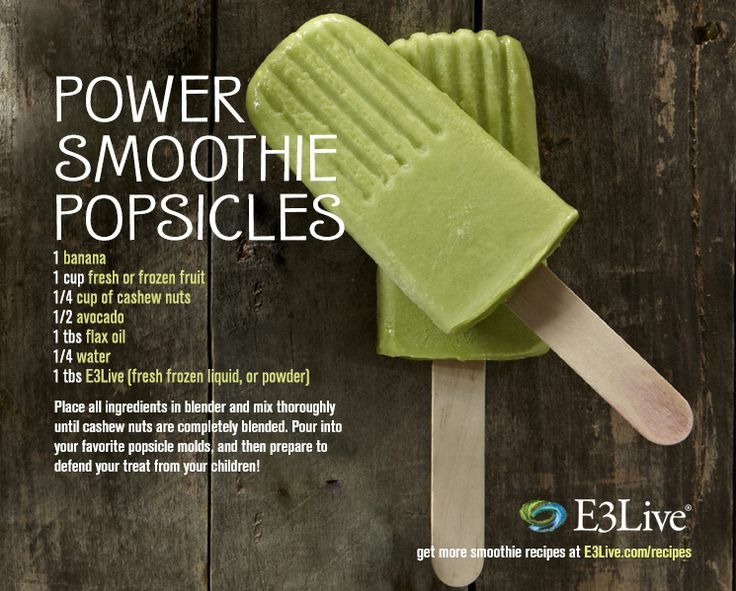 E3Live Power Smoothie Popsicle Recipe – Yum! Place all ingredients in blender and mix thoroughly until cashew nuts are completely blended. Pour into your favorite popsicle molds and freeze. ← ONE DAY ONLY, E3Live Lucky Special: 17% OFF on the 17th!